Traveling is something I do to enrich my soul, explore the world and experience different cultures. Taking photos while traveling is a way to freeze and capture the moment of such a wonderful experience. Thank you to Michel for telling me about this contest. This is my passion that I intend to do until I grow old and encourage people to travel go out of their comfort zones to experience life on the other side of the world. These are the colors as they were captured through my lens. 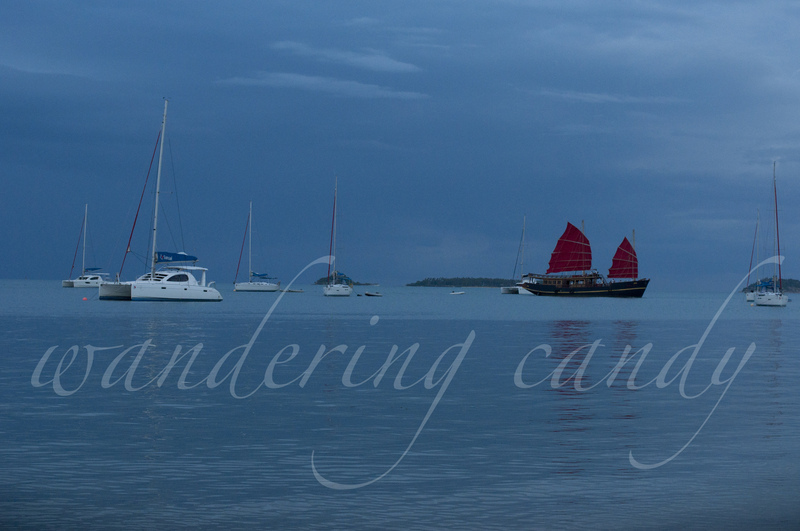 I was chilling out on the beach in Koh Samui when the sky was just losing the yellows, pinks and violets. All that was left is the blue sky turning into different shades. Out of nowhere, this old boat with a red sail appeared going to the pier. It stands so picturesque amidst the blue sky and white boats that I couldn’t resist taking a photo. I was on my way to the main area of the bivouac when I saw a row of huge sunflowers growing along the pathway. I was surprised to see these since it was really hot on the Sahara Desert but they were growing radiantly facing the sun. Some may consider this a weed but to others it is what it is – a flower, a sunflower. The aerial view of Pampanga, pretty isn’t it? I will always associate green as a color of nature. A color of peace and harmony. 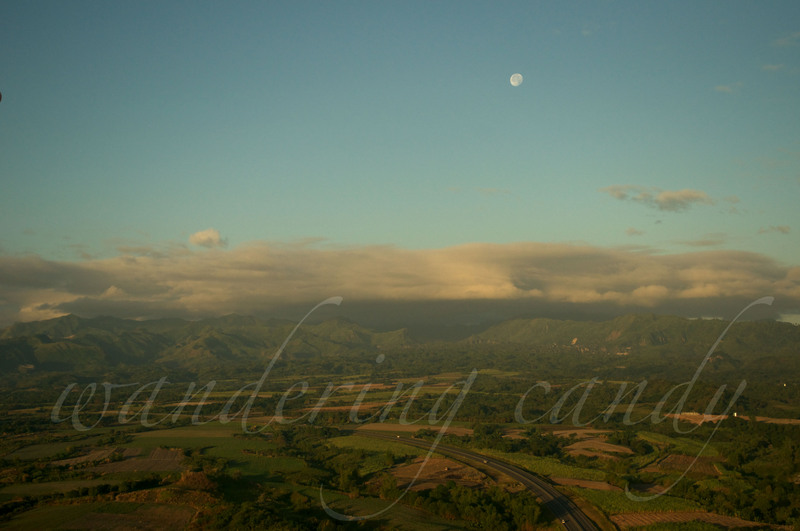 I was riding a hot air balloon in Pampanga, Philippines when this photo was taken. This is such a stunning shot for me because it captured the beauty of nature with the moon hovering the countryside as the sun was rising. The clouds were a bit gloomy and it was a bit windy. Quite nice actually. 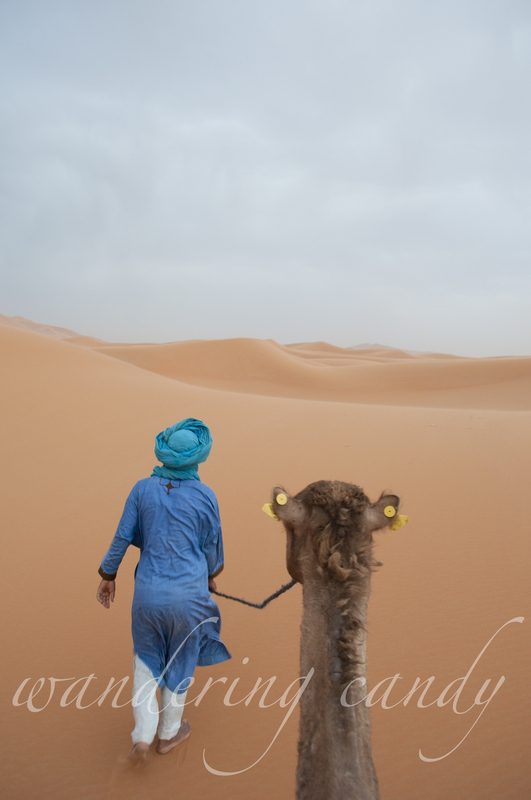 When I think of the color blue, the first thing that comes to my mind are the people of the Sahara Desert. They wear a turban to protect themselves from the sun and from the sand during sandstorm. The turban and their clothes are blue in color to help them stay cool even under the intense heat of the sun. 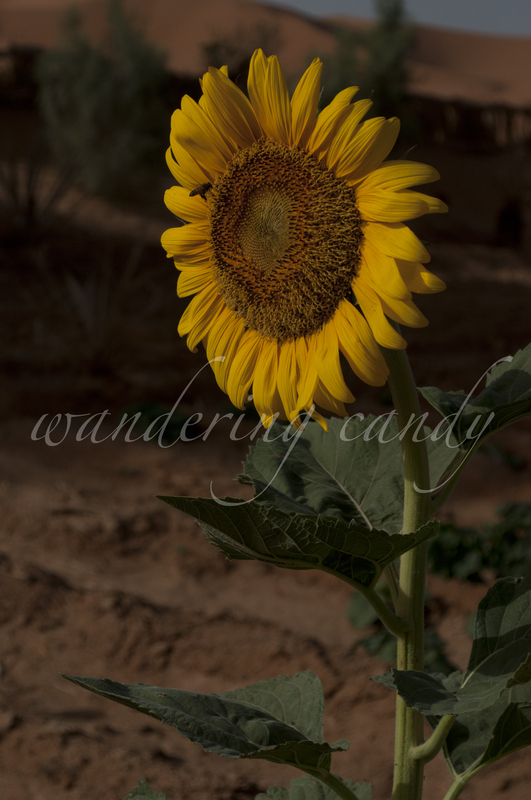 This entry was posted in Africa, Asia, Cambodia, Morocco, Philippines, Thailand by wanderingcandy. Bookmark the permalink. Oh my word. I could have been the spark that provided the winning entry. And I don’t say that lightly. Awesome. Don’t forget to nominate five and let TravelSupermarket know that you’ve entered the #capturethecolour contest on their Facebook page, @travelsupermkt Twitter or e-mail. I’d hate to see these images miss out on a technicality. You have just over an hour left.